There are certain characteristics that could be universally accepted as ones which, on face-value, would imply a designer’s straight; they are measure and poise. Sid Neigum, Toronto-based fashion designer, exemplifies those attributes. 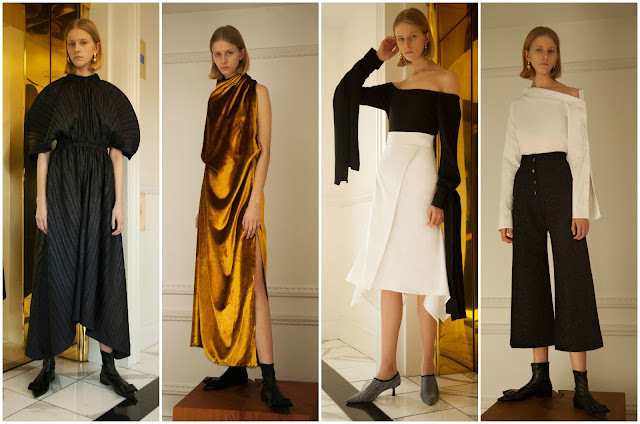 His eponymous label presented its third collection at London Fashion Week in February at Alex Eagle Studio, a retail space in Soho, early on Saturday morning. A minimal space, it reflected his clothing: the crisply cut, pristinely precise poise rarely seen amongst young, emerging designers. Le Corbusier and mathematical formulas have inspired Neigum in the past. He is interested in certainty, as seen in his tailoring, and the beauty of precision. The golden ratio, a famous geometry concept, is preoccupied with proportion and is fittingly assigned to fashion design. He once explored ideas of geometry, however this season furthered the developed of softer silhouettes as opposed to the rigid hardness of previous seasons. He finally struck lucky with this new balance of lightness and rigour. 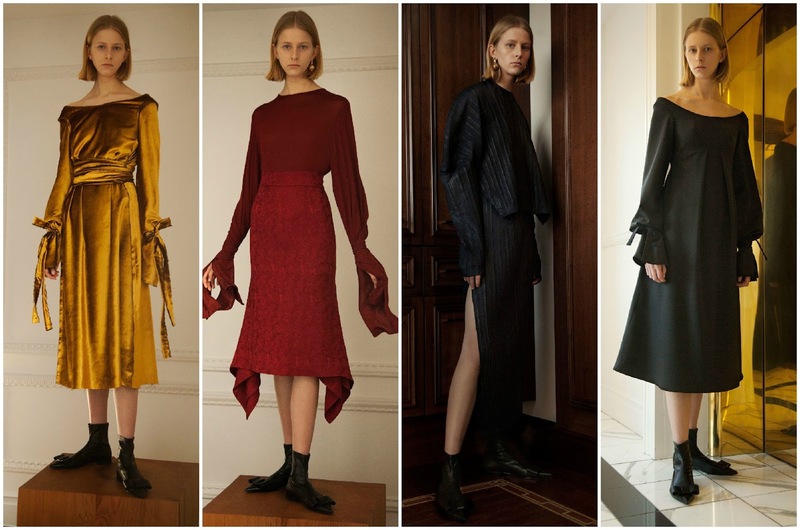 For every structured coat there was a slinky dress—a draped dress in a golden hue stood out. To promote this advancement his colour palette was restricted to black, white, gold (humorously in line with the mathematical concept) and burgundy. The result was beautiful, admittedly. The colours and the shapes, complemented by the setting, emphasised his unobstructed, measured mindset. I find myself more interested in the young designers who prioritise craft and endeavour to create a sophisticated vision rather than the explosively imaginative mavericks who challenge our eyes to keep up with their designs. On one hand, Neigum is at an advantage. His clothing is more readily saleable, and as The Bay in Toronto points out, his clothes are purchased by those who also shop for Azzedine Alaïa. Secondly, his aesthetic is widely accessible and pieces can find themselves in any wardrobe. His quiet rebellion could be considered more radical than, say, the Matty Bovans of the world. On the other hand, perhaps it is disadvantaging Neigum to play it safe. Aesthetically, his clothes are mesmerising but they border banality in parts. On the whole they are original, fixated with mathematical concepts as opposed to disinterestedly throwing fabric at a mannequin. It’s hard to know where to stand. It all began with a memorable debut last February, at the Insitute of Contemporary Arts, followed by a delightful runway presentation at Brewer Street Car Park. With the BFC’s mentorship and support, Neigum has been catapulted to the world’s stage. With a mathematical approach and intellectual pursuit of superior fashion design, a star was born in London with his arrival. Each season brings greater depth and understanding, a clear vision of the direction he wants to take to satisfy his multiplying customer base but also his design aesthetic—all of this is complete with measure and poise.